Osteointegration is one of the most studied issues and is considered as one of the most evaluated cases in implantology. It is important for implantologists to have an in-depth understanding of what exist in the bone-implant interface. It is a treatment plan that is compatible with standards and provides a better clinical forecast. The present study is a comprehensive review from all that have been conducted regarding various aspects of osteointegration. Albrektsson T, Albrektsson B. Osseointegration of bone implants. A review of an alternative mode of fixation. Acta Orthop Scand 1987;58:567-77. Brånemark R, Brånemark PI, Rydevik B, Myers RR. Osseointegration in skeletal reconstruction and rehabilitation: A review. J Rehabil Res Dev 2001;38:175-81. VanBlarcom CW. The Glossary of Prosthodontic Terms. St. Louis: Mosby; 1999. Albrektsson T, Brånemark PI, Hansson HA, Lindström J. Osseointegrated titanium implants. Requirements for ensuring a long-lasting, direct bone-to-implant anchorage in man. Acta Orthop Scand 1981;52:155-70. Nayab S, Shinawi L, Hobkirk J, Tate T, Olsen I, Jones F. Adhesion of bone cells to ion-implanted titanium. J Mater Sci Mater Med 2003;14:991-7. Muhonen V, Heikkinen R, Danilov A, Jämsä T, Tuukkanen J. The effect of oxide thickness on osteoblast attachment and survival on NiTi alloy. J J Mater Sci Mater Med 2007;18:959-67. Rodan GA, Martin TJ. Role of osteoblasts in hormonal control of bone resorption – A hypothesis. Calcif Tissue Int 1981;33:349-51. Lacey DL, Timms E, Tan HL, Kelley MJ, Dunstan CR, Burgess T, et al. Osteoprotegerin ligand is a cytokine that regulates osteoclast differentiation and activation. Cell 1998;93:165-76.
Cooper LF, Masuda T, Yliheikkilä PK, Felton DA. Generalizations regarding the process and phenomenon of osseointegration. Part II. In vitro studies. Int J Oral Maxillofac Implants 1998;13:163-74. Komori T. Regulation of bone development and maintenance by Runx2. Front Biosci 2007;13:898-903. Buckwalter J, Glimcher M, Cooper R, Recker R. Bone biology. J Bone Joint Surg Am 1995;77:1256-75. Roodman GD. Advances in bone biology: The osteoclast. Endocr Rev 1996;17:308-32. Shimizu H, Sakamoto M, Sakamoto S. Bone resorption by isolated osteoclasts in living versus devitalized bone: Differences in mode and extent and the effects of human recombinant tissue inhibitor of metalloproteinases. J Bone Miner Res 1990;5:411-8. Tatsumi S, Ishii K, Amizuka N, Li M, Kobayashi T, Kohno K, et al. Targeted ablation of osteocytes induces osteoporosis with defective mechanotransduction. Cell Metab 2007;5:464-75. Weinmann JP, Sicher H. Bone and Bones: Fundamentals of Bone Biology. St. Louis: Mosby; 1955. Singhatanadgit W. Biological responses to new advanced surgace modifications of endosseous medical implants. Bone Tissue Regen Insights 2009;2:1-11. Shard AG, Tomlins PE. Biocompatibility and the efficacy of medical implants. Regen Med 2006;1:789-800. Thevenot P, Hu W, Tang L. Surface chemistry influences implant biocompatibility. Curr Top Med Chem 2008;8:270-80. Puleo DA, Nanci A. Understanding and controlling the boneimplant interface. Biomaterials 1999;20:2311-21. Wilson CJ, Clegg RE, Leavesley DI, Pearcy MJ. Mediation of biomaterial-cell interactions by adsorbed proteins: A review. Tissue Eng 2005;11:1-18. Ratner BD, Bryant SJ. Biomaterials: Where we have been and where we are going. Annu Rev Biomed Eng 2004;6:41-75. Damsky CH, Werb Z. Signal transduction by integrin receptors for extracellular matrix: Cooperative processing of extracellular information. Curr Opin Cell Biol 1992;4:772-81. Globus RK, Doty SB, Lull JC, Holmuhamedov E, Humphries MJ, Damsky CH. Fibronectin is a survival factor for differentiated osteoblasts. J Cell Sci 1998;111:1385-93.
differentiation. J Cell Sci 1996;109 (Pt 6):1369-80.
Cooper LF. Biologic determinants of bone formation for osseointegration: Clues for future clinical improvements. Schwartz Z, Lohmann CH, Oefi nger J, Bonewald LF, Dean DD, Boyan BD. Implant surface characteristics modulate differentiation behavior of cells in the osteoblastic lineage. Adv Dent Res 1999;13:38-48. Hynes RO. Integrins: A family of cell surface receptors. Cell 1987;48:549-54. Takagi J, Petre BM, Walz T, Springer TA. Global conformational rearrangements in integrin extracellular domains in outside-in and inside-out signaling. Cell 2002;110:599-11. Clover J, Dodds RA, Gowen M. Integrin subunit expression by human osteoblasts and osteoclasts in situ and in culture. J Cell Sci 1992;103 (Pt 1):267-71. Abercrombie M, Heaysman JE, Pegrum SM. The locomotion of fi broblasts in culture. IV. Electron microscopy of the leading lamella. Exp Cell Res 1971;67:359-67. Avnur Z, Geiger B. The removal of extracellular fi bronectin from areas of cell-substrate contact. Cell 1981;25:121-32. Sastry SK, Burridge K. Focal adhesions: A nexus for intracellular signaling and cytoskeletal dynamics. Exp Cell Res 2000;261:25-36. Smilenov LB, Mikhailov A, Pelham RJ, Marcantonio EE, Gundersen GG. Focal adhesion motility revealed in stationary fibroblasts. Science 1999;286:1172-4. Zhu X, Chen J, Scheideler L, Altebaeumer T, Geis-Gerstorfer J, Kern D. Cellular reactions of osteoblasts to micron- and submicron-scale porous structures of titanium surfaces. Cells Tissues Organs 2004;178:13-22. Rosen JJ, Culp LA. Morphology and cellular origins of substrate-attached material from mouse fibroblasts. Exp Cell Res 1977;107:139-49. Albrecht-Buehler G. Filopodia of spreading 3T3 cells. Do they have a substrate-exploring function? J Cell Biol 1976;69:275-86. Adams JC. Cell-matrix contact structures. Cell Mol Life Sci 2001;58:371-92. Joos U, Büchter A, Wiesmann HP, Meyer U. Strain driven fast osseointegration of implants. Head Face Med 2005;1:6. Schwartz Z, Martin JY, Dean DD, Simpson J, Cochran DL, Boyan BD. Effect of titanium surface roughness on chondrocytes proliferation, matrix production, and diff erentiation depends on the state of cell maturation. J Biomed Mater Res 1996;30:145-55. Rajpurohit R, Koch CJ, Tao Z, Teixeira CM, Shapiro IM. Adaptation of chondrocytes to low oxygen tension: Relationship between hypoxia and cellular metabolism. J Cell Physiol 1996;168:424-32. Colnot C, Romero DM, Huang S, Rahman J, Currey JA, Nanci A, et al. Molecular analysis of healing at a bone-implant interface. J Dent Res 2007;86:862-7. Büchter A, Joos U, Wiesmann HP, Seper L, Meyer U. Biological and biomechanical evaluation of interface reaction at conical screw-type implants. Head Face Med 2006;2:5. Davies JE. Understanding peri-implant endosseous healing. J Dent Educ 2003;67:932-49. Shalabi MM, Gortemaker A, Van’t Hof MA, Jansen JA, Creugers NH. 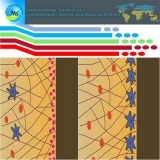 Implant surface roughness and bone healing: A systematic review. J Dent Res 2006;85:496-500. Schneider GB, Perinpanayagam H, Clegg M, Zaharias R, Seabold D, Keller J, et al. Implant surface roughness affects osteoblast gene expression. J Dent Res 2003;82:372-6.